Living healthy in an enjoyable and durable house with hemplime. Hemp in a box offers affordable and practical solutions for anyone who wants to live or work in an ecological and durable building without compromising on aesthetics, comfort or functionality. Our building materials based on hemplime can be used for new construction, renovation and insulation. Both the professional as the do-it-yourselfer can realise an enjoyable, healthy and durable living comfort. Hemplime is a durable building material that is energy-efficient and recyclable. Hemplime is an energy-efficient and durable building material made of renewable raw materials. The hemp shives that are used are a by-product of the cultivation of hemp seeds and fibers. It does not produce any harmful emissions, it is recyclable at the end of its life cycle it does not leave any harmful substances behind (no pollution). Hemplime is a permanent and stable humidity buffer which ensures a constant level of humidity in your interior. You will not have any problem of humidity or condensation. Hemp is the champion of CO2 absorption during the growth of the plant, up to 4 times more than a forest of the same size. The absorption of CO2 by the plant exceeds the emission of CO2 that occurs during the cultivation and the construction process. In addition, even after processing and installation, the absorption of CO2 keeps going on during the continuation of the carbonation process. An excess of air density in combination with harmful components (often synthetic) in building materials makes the indoor air often more unhealthy than the outdoor air. Our hemplime, the basis for an open, transpirable house, is not treated with chemicals and has therefore a positive impact on the quality of the indoor air. Our emission report confirms this. Hemplime offers a good thermal insulation. 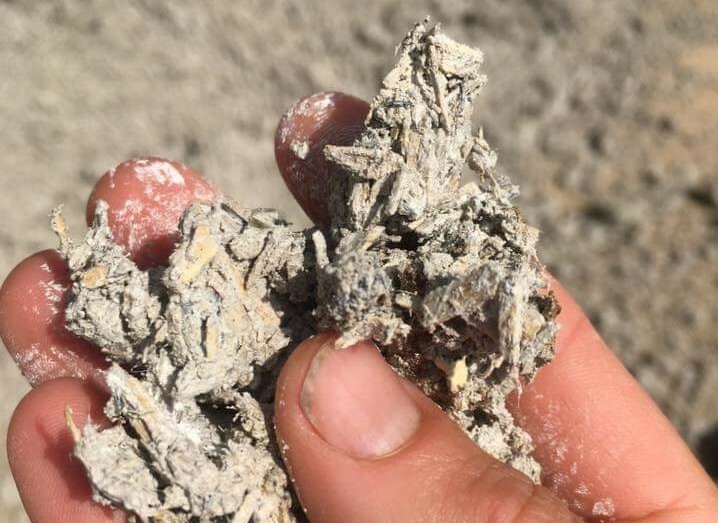 Contrary to the classic insulation materials, lime-hemp has an additional and continuous moisturizing and thermal effect and a high heat storage capacity. Heat needs up to 4 times more time to get through the hemplime. 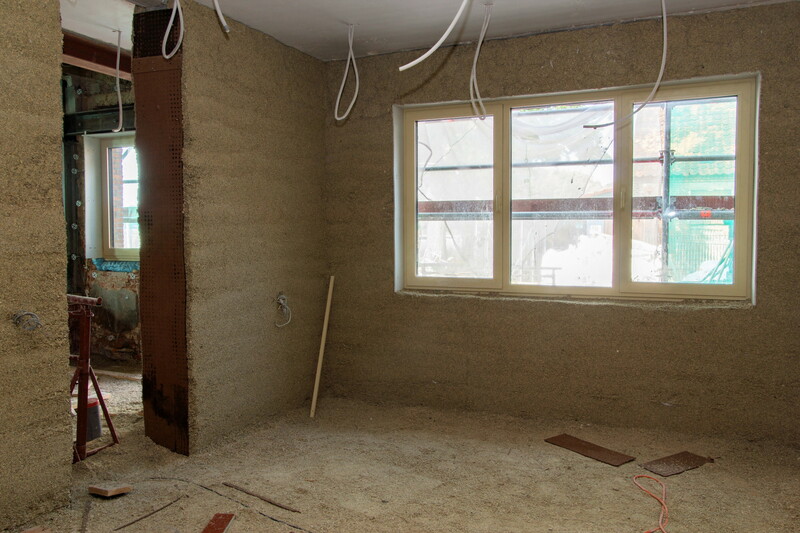 As a consequence, a house built in lime-hemp requires a minimum of techniques or ventilation systems to create a pleasant and stable indoor climate. Hemplime has an excellent sound insulation. Vibrations and sound waves are absorbed. In Scandinavia, the sound walls along the motorways are made of hemplime. This is a premixed hemplime mix that can immediately be used on the construction site. Depending on the purpose the mixture is customized for walls, roofs or floors. Our mix is delivered in big bags or in bulk. 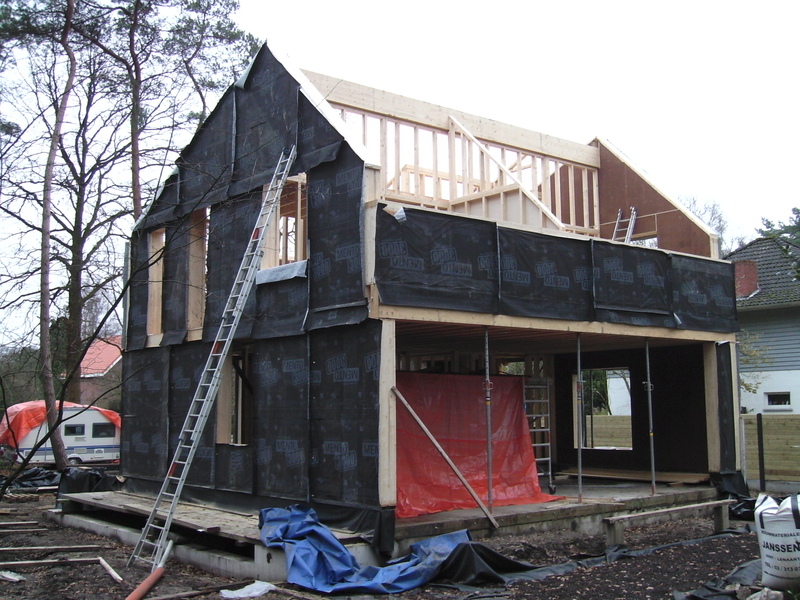 Our custom-made wooden frame walls reach the highest insulation standards. Hemp in a box offers affordable solutions for anyone who wants to live or work in an ecological and durable building. With hemplime, walls, floors and roofs can be insulated efficiently. The result is a ‘transpirable’ and humidity resistant construction layer with excellent insulating, moisturizing and acoustic characteristics. With our self-supporting hemplime walls we combine the benefits of wooden frame construction and traditional construction without the disadvantages. 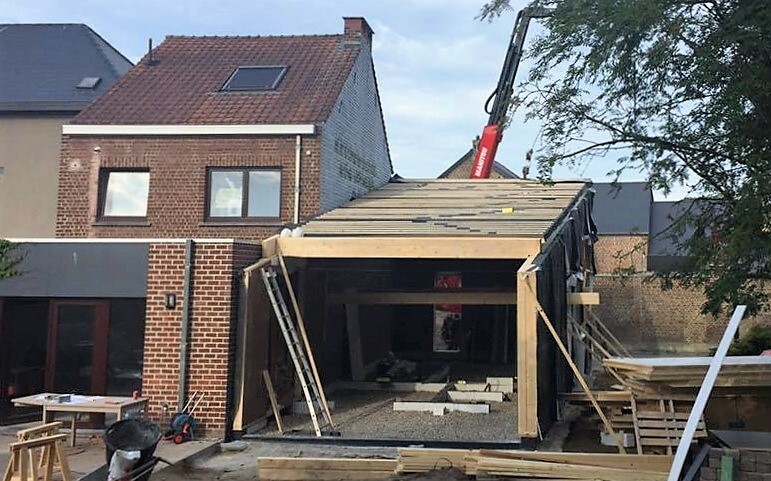 Within a few days, the structural work of your home is built. Industrial buildings demand specific standards and requirements for climatisation and humidity regulation. 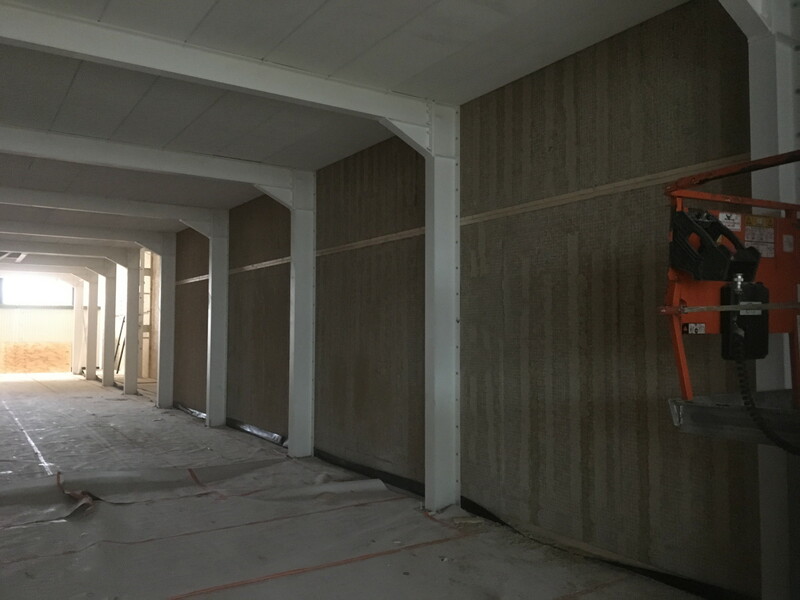 Hemp in a box customizes the hemplime walls to fully comply with the specific requirements of schools, offices, storage facilities and halls. Hemp in a box offers you an active house in which it is pleasant, comfortable and healthy to live.